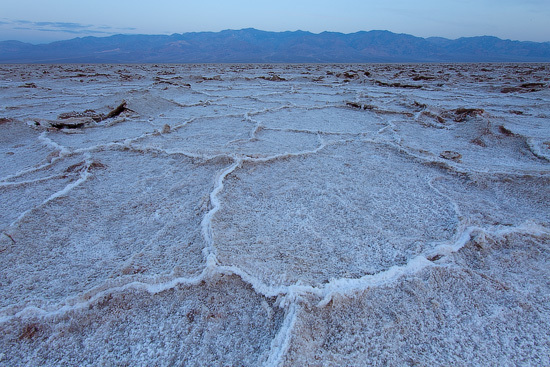 Once a bottom of a huge 160-kilometre long and 180-metre deep lake – Badwater Basin is now a deepest, hottest and driest place in North America. Located in the eastern part of the Death Valley National Park, 26 kilometres south of Furnace Creek, this place is easy to find. 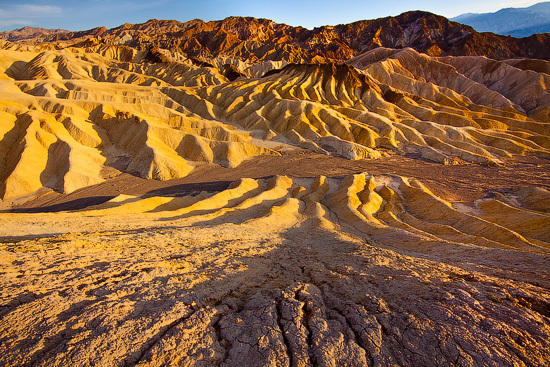 Zabriski Point – a very well-known and most popular lookout in the Death Valley National Park, located in the eastern part of the park 5 kilometers south-east of Furnace Creek. 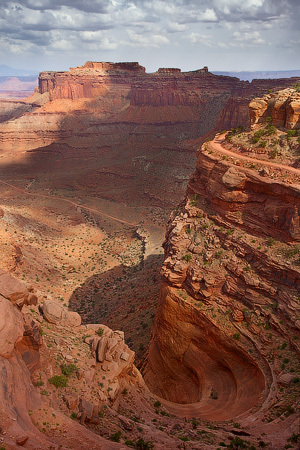 Lookout is famous for its’ maze of convoluted rock formations and great views over Death Valley badlands. 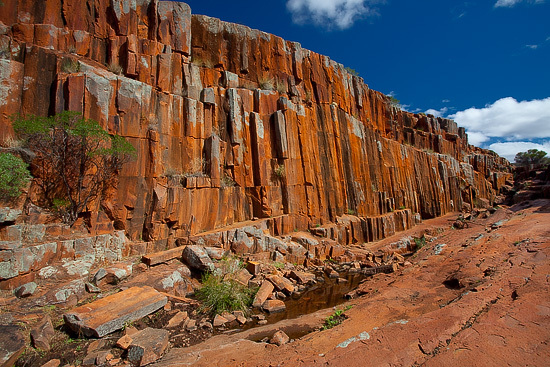 Kolay Mirica Falls is one of the best places in the Gawler Ranges National Park where you can explore the organ pipes – unique volcanic rock formations. Park is located in 40 kilometers north off Eyre Highway in South Australia, the road from Wudinna is the most convenient way to get there. 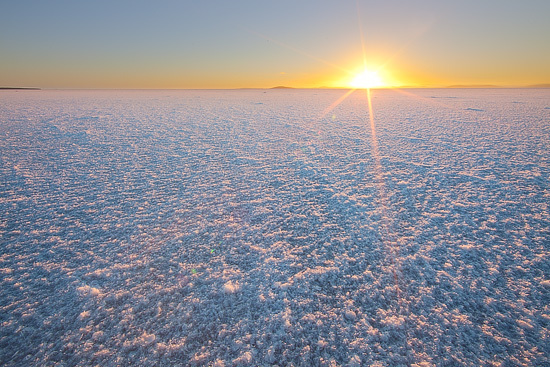 Lake Gairdner stretches for 160 kilometers in length and 48 kilometers across and is a fourth largest dry salt lake in Australia after Lake Eyre, Lake Torrens and Lake Frome. Some places can have a layer of dry salt up to 1 meter thick. 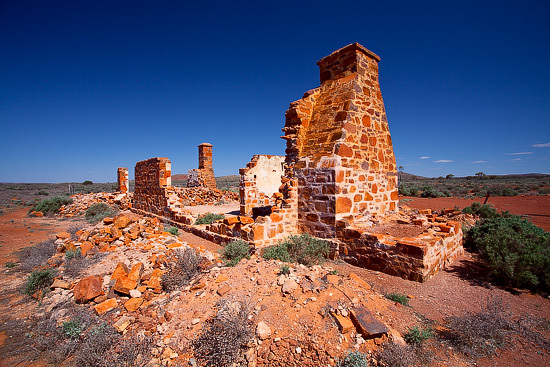 These magnificent remains are located in the northern part of the Gawler Ranges, in a remote area not far from the Lake Gairdner. 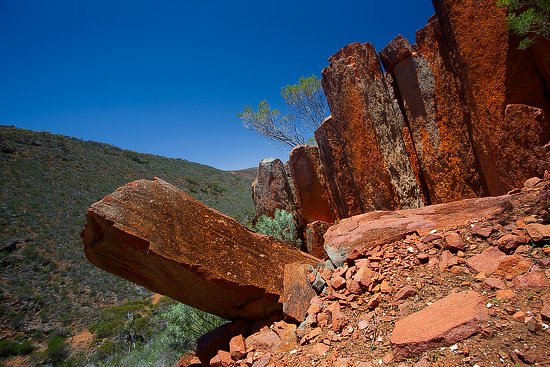 Due to the volcanic history of the Gawler Ranages some 1500 million years ago, the Gawler Ranges National Park exhibits one of the largest in the world exposures of the volcanic rhyolite also known as organic pipes. 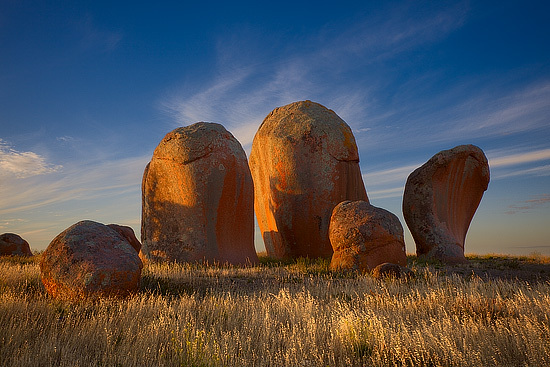 Pildappa rock is a granite outcrop with the longest and highest rock wave formation in the Eyre Peninsula. 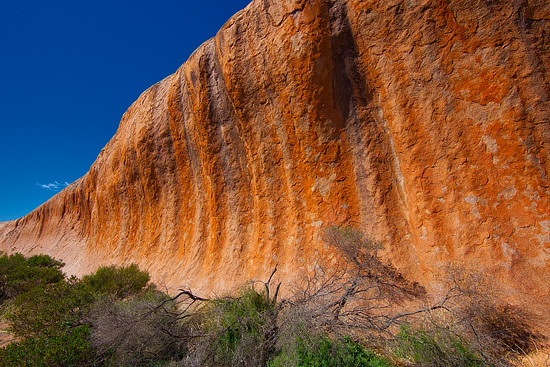 This rock wave rivals a well known Wave Rock from the Western Australia. Sand dunes are definetly among the list of a must see attractions of the Coffin Bay National Park. Dunes are located along the ocean beaches and stretch for kilometres in length and width. A 10 kilometre Gunyah Beach is one of the good spots with a stripe of sand dunes about 1 kilometer in width.